Over 1,150 Members Strong and Growing! Association Management has its own challenges and complexities. It’s helpful to be able to learn from others that have the same difficulties and experiences as you. 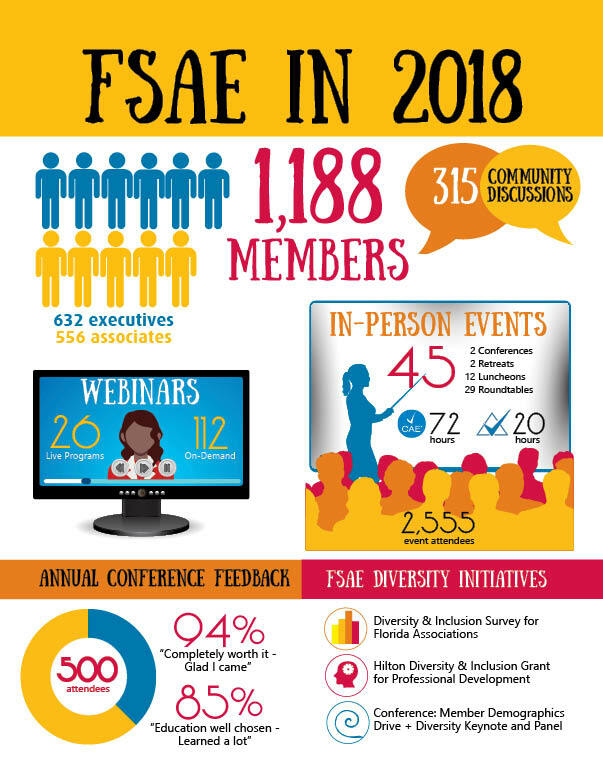 The Florida Society of Association Executives (FSAE) fosters that collaboration through networking and educational events, online communities and resources that provide professional development for all positions and career-stages. 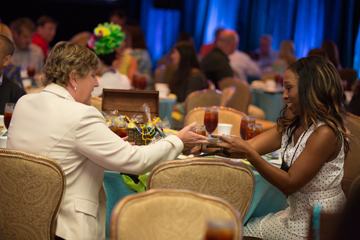 Our strongest asset is bringing members together to share ideas and best practices in management, leadership, board relations, membership, marketing and event planning. FSAE is a small organization with a big reach and a big heart. Our staff is comprised of six dedicated individuals that personally assist Executive and Associate members and service providers. Founded in April of 1959, FSAE began with a handful of association executives that decided to share ideas and network on a regular basis. Beginning with 32 members, FSAE has continued to grow and expand its reach to the over 1,100 members we have today. In January 2015, FSAE and the Tallahassee Society (TSAE) officially merged to form one unified voice for all association professionals. Click here to learn more about membership in FSAE.